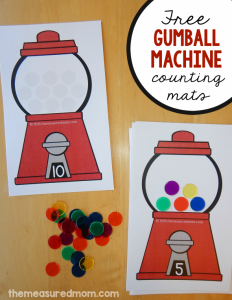 Today I’m sharing some free printable counting mats! 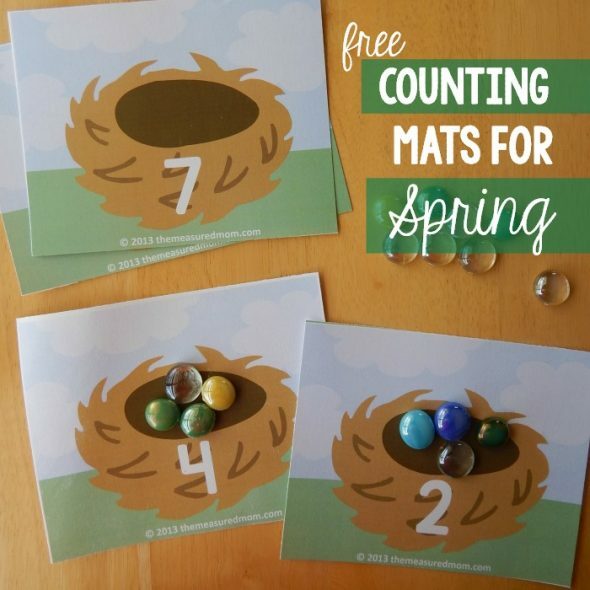 I created these free printable counting mats and laminated them so that my three-year-old could fill the nests with “eggs” – brightly colored gems I bought at Michaels. 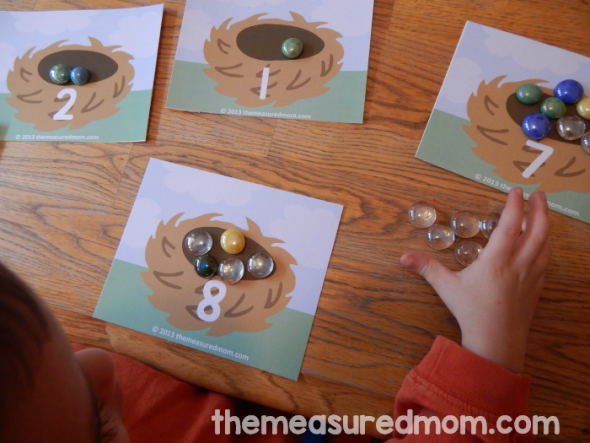 He did really well with the nests up to five. After that he needed my help. 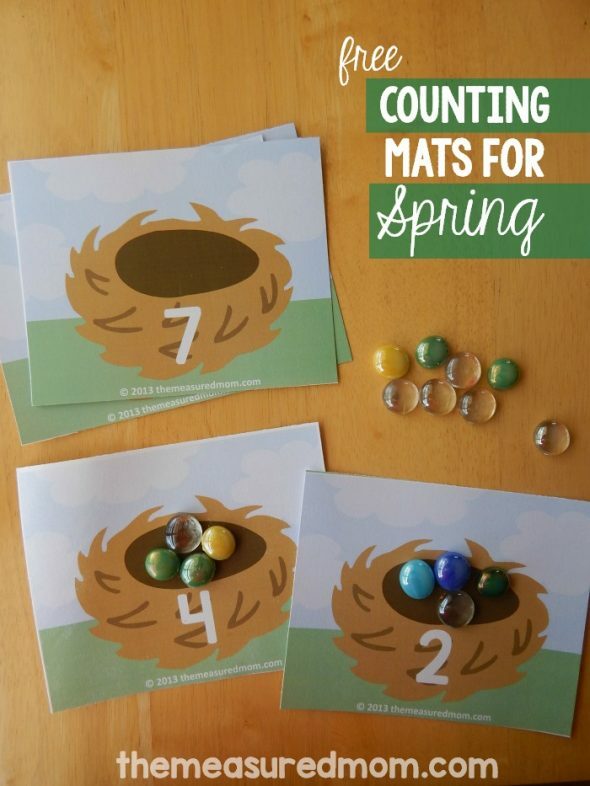 Such a pretty activity for spring! Wow, just to reiterate what everyone else has been saying, your site is absolutely amazing!! Thanks for taking the time to so generously share. 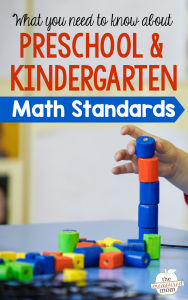 I was a 2nd grade teacher for 12 years & am now a SAHM with my 2 young children. I have decided to home school them for pre-school due to the pre-schools near my house being very expensive. 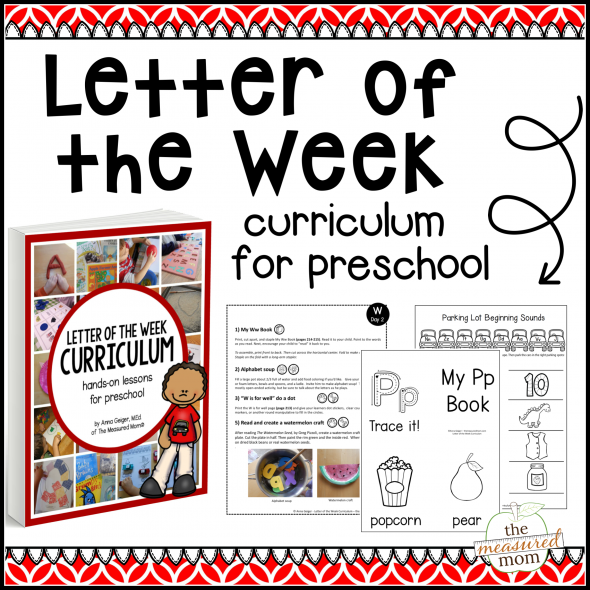 Even though I have a dozen years of teaching under my belt, I am clueless on where to start for teaching a 2 year old other than lots of books so I appreciate all your activities and ideas! Can’t wait to look through more of your ideas! Thank you so much, Katie, your comment really made my day! I know what you mean, not being sure where to start with your own kids. That was my inspiration to start this blog, and I’ve learned so much along the way. It’s fun to share it! Thank You this is neat!!!! Thank you very much for sharing your talent and wisdom. 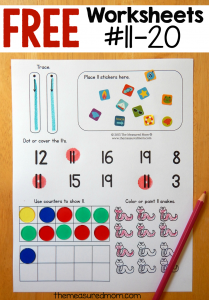 I am new to your website, however, as a Preschool Teacher I have learned and able to utilized your site. 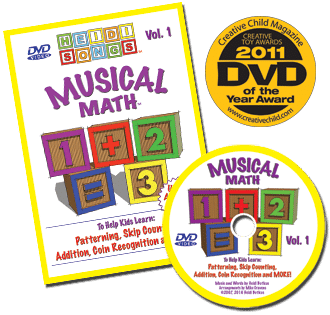 God Bless and hope to bring more wisdom to our diversified preschoolers from your site. Well,am really impressed. Lots of cool stuff here,bravo! Your site is amazing! Your are supporting true education by providing coloring, meaningful and engaging activities that develop knowledge and understanding. 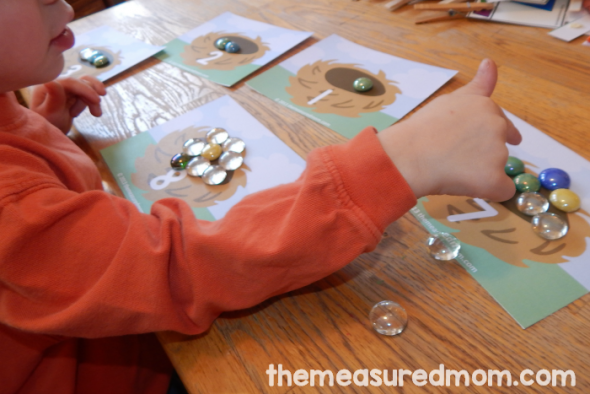 Thank you for generously sharing your creative and high quality materials. Really great stuff here! oops meant to say colorful (not coloring) in previous post. Thank you so much, Cheryl! I really appreciate you taking the time to write such a kind comment. 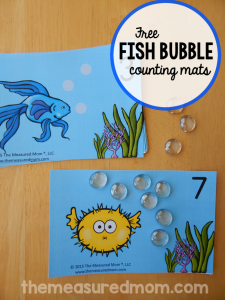 Doing this is such a joy for me, and I’m so thankful that people like you come to download my printables!